"We're gonna give them a one year warning, and if the drugs don't stop, or largely stop, we're going to put tariffs on Mexico and products, in particular cars," Trump told reporters at the White House on Thursday. "And if that doesn't work, we're going to close the border." 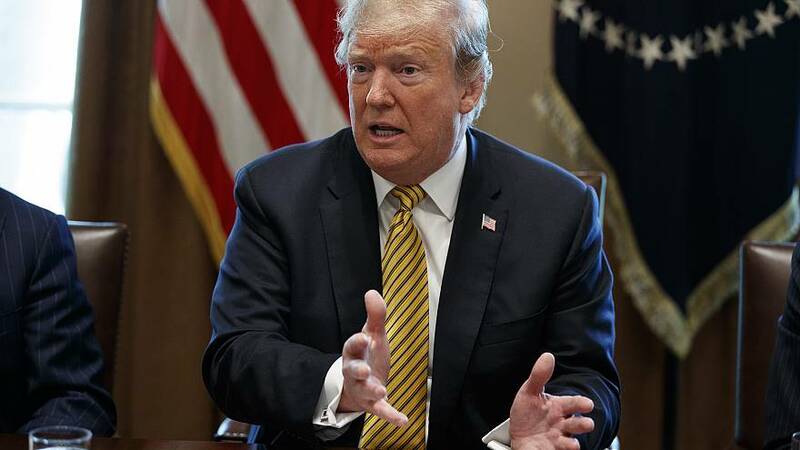 "If we don't see people apprehended and brought back to their countries, if we see these massive caravans coming up to our country, right through Mexico, coming right through Mexico like nothing," he added. "Buses are even given to them. For the last three days it hasn't happened, since I said we're closing the border. The only thing, frankly, better but less drastic than closing the border is to tariff the cars coming in." "You know I will do it. I don't play games," the president warned. Trump also told reporters that we have "a stupid system of courts, it's the craziest thing in the world" lamenting that "you put a foot on the property — you put a foot into the United States — congratulations, go get Perry Mason to represent you. You end up with a court case." "We certainly have a crisis on the border. I think the president's right about that," said Senate Majority Leader Mitch McConnell, who added that he still believed that "closing down the border would have potentially catastrophic economic impact on our country, and I would hope we would not be doing that sort of thing."